Just because you can do something, doesn’t necessarily mean you should. The legal system cannot force you to retain a divorce lawyer to represent you, but consider this; even attorneys don’t represent themselves when they are in court. They will ask a colleague to represent them, because they know how disastrous it can be to be your own lawyer. And these are the people that are familiar with the law, and have made it their vocation to represent others, yet they know better than to represent themselves. So if they aren’t representing themselves in court, it can only stand to reason that you, with most likely no legal experience, should not either, regardless if it is for a criminal case, or a divorce. The main influencing factor that causes some spouses to represent themselves in a divorce is the notion that they will save money by not having to pay those hefty lawyer fees. Not only is this wrong, but the opposite is true. You will very likely make a mistake with lasting impacts on things like division of property and sometimes, spousal and child support. If you and your spouse agree on the division of assets, and a final settlement agreement is signed, it cannot be changed or retracted. A divorce attorney is not only far more familiar with negotiating division of property, but will not agree to something that is not in your best interest, whereas you may unknowingly agree to something that you perceived to be very favorable, and then you are permanently left with the short end of the stick. Moreover, if your spouse retains an attorney, you will be at a serious disadvantage, as the likelihood that you are going to do a better job of doing their job than them is very slim. On top of all this, the divorce process is one that causes severe stress, anxiety, and unsteady emotions, and this is not a good state of mind for someone who is representing himself or herself in court. An attorney has the ability to do this job without their emotions being involved, and their mind not clouded by stress and anger. 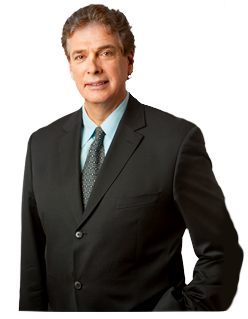 If you need an experienced divorce attorney in New York City, do not hesitate to contact Paul E. Rudder, Esq. Mr. Rudder has been practicing family and matrimonial law for more than 30 years. Call 212-826-9900 to schedule an appointment.